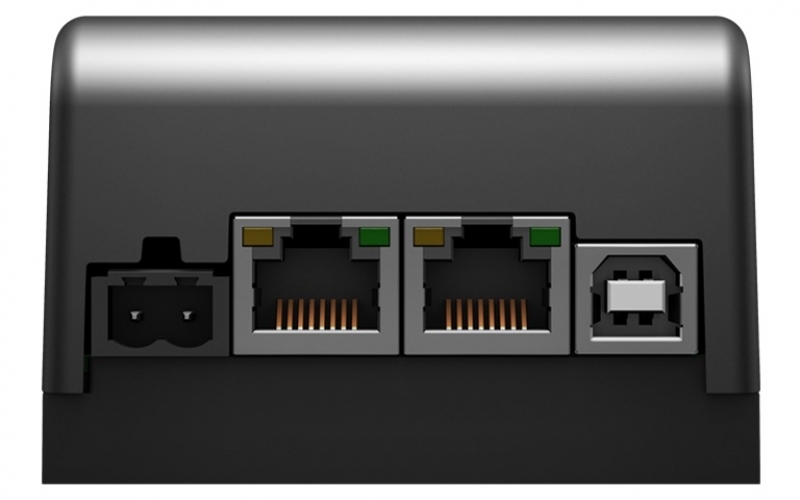 The improved hardware now features two separate Ethernet network ports. 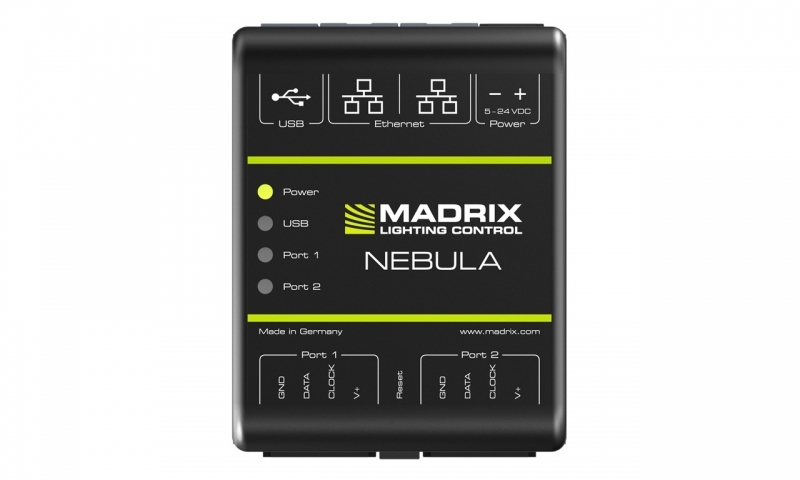 Both are fully functionally for data input and output and can be used for the data connection without using a separate network switch or router. 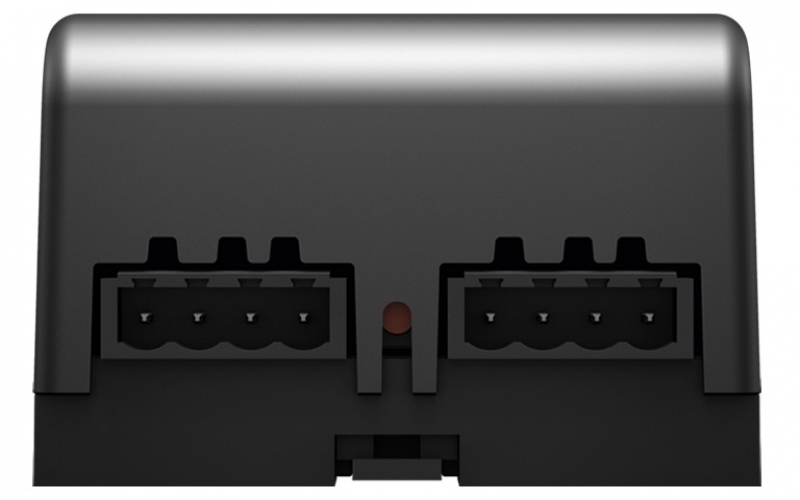 More importantly, these ports enable daisy-chain support to linearly connecting several devices together with ease. On top, firmware 2.0 has been released. 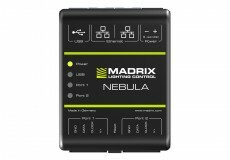 The new update adds numerous features to all Nebula devices. They include support for Streaming ACN as well as ArtSync, and settings for start channel, channel order, and output in case of connection loss. New types of LEDs are also regularly added, and the list currently boasts over 35 SPI protocols for different ICs.